LAS CRUCES, N.M. -- New Mexico State head football coach Doug Martin announced the Aggies’ 2014 signing class Wednesday afternoon. Twenty-five student-athletes signed a National Letter of Intent/Financial Aid Agreement with the Aggies to attend New Mexico State University and play football beginning in 2014. The Aggies’ 2014 signing class features 23 high school student-athletes and just two junior college transfers. NM State signed 15 defensive players and 11 on the offensive side of the ball. On the defensive side, the Aggies signed six linebackers, five in the defensive backfield and four defensive linemen. Offensively, NM State went with six quarterbacks, two running backs and two offensive linemen. High School: Allen was a three-year starter at quarterback for Texas City High School. As a senior, Allen was named a unanimous first team all-district selection, Galveston County Daily News All-County and The Post Newspaper first team All-Area. He threw for 1,307 yards and 14 touchdowns, while rushing for 294 yards and six scores. As a junior, Allen threw for 1,555 yards, including 16 touchdown passes, 463 yards rushing and nine scores. He was named an honorable mention all-district pick. For his career, Allen threw for over 4,300 yards and 45 touchdown tosses. He was also named an honorable mention all-district pick and all-county as a sophomore, after throwing for 1,532 yards and 15 touchdowns. Allen recorded a 25-10 record as a starter including a 12-1 mark in 2013. High School: Bradley played defensive end for Bowie High School in Arlington, Texas. As a senior, Bradley was a first team all-district selection and a second team all-area pick. He also received the Trench Award for being the top lineman on his team as a senior. Bradley recorded 71 tackles, 13 tackles for a loss and three sacks that season, helping his team to a 7-4 record and the first round of the state playoffs. As a junior, Bradley was a first team all-district selection, helping his team to an 11-2 record and the third round of the state playoffs. He recorded 56 tackles, 10 tackles for a loss and two sacks that season. High School: Busby played defensive end for Hendrickson High School in Austin, Texas. As a senior, Busby was named a first team all-district selection and an academic all-district pick. On the field, Busby recorded 38 tackles, five tackles for a loss, two sacks, a fumble recovery, a forced fumble and seven quarterback hurries, helping his team to the first round of the playoffs and a 10-1 record. He also competed in power lifting and track & field. High School: Caldwell played running back and defensive back for Columbus High School in Columbus, Texas. As a senior, Caldwell rushed for 356 yards and a touchdown, while catching 10 passes for 353 yards and five scores. He also returned kickoffs and punts for the Cardinals as a senior. Caldwell totaled 609 yards of total offense on the season. As a junior, Caldwell had nine tackles, five pass break ups and an interception. High School: Candelaria was a starting offensive tackle for North Mesquite High School for two seasons. He was named a first team all-district selection as a senior after recording 29 pancake blocks and grading out at 90 percent or higher in eight of 10 games. Candelaria helped his team average 419.7 yards per game. North Mesquite averaged 301.8 yards on the ground and 117.9 yards passing per contest in 2013. As a junior, Candelaria was also a first team all-district pick. High School: Clement was a starting linebacker for Kinkaid High School in Houston, Texas for three seasons. As a senior, Clement recorded 57 tackles, four sacks, five quarterback hurries and two pass break ups, helping his team to an 11-0 record and the SPC Championship. As a junior, he tallied 51 tackles, 10 tackles for a loss, four sacks, three pass break ups, a fumble recovery and a forced fumble. That season, his team went 8-3 overall and lost in the championship game. Clement also helped his team to an 11-0 record as a sophomore and a SPC Championship. High School: Copeland was a two-year starter at linebacker for Southlake Carroll High School in Southlake, Texas. As a senior, Copeland played in just three games, recording 41 tackles, an interception and a pass break up. During his junior season, Copeland tallied 72 tackles, four sacks, two interceptions, two forced fumbles and a fumble recovery. High School: Corley was the starting quarterback for Grants High School in Grants, N.M. As a senior, Corley threw for 1,358 yards, while rushing for 829 yards, scoring a combined 21 touchdowns. He was invited to the N.M. Elite Combine, the NUC Combine, the 2012 U.S. All-American Bowl Combine and the NUC Cali vs The West Football Classic Bowl Game in 2013. Corley also competed in basketball, tennis and track & field at Grants. In 2013 he was the state runner-up in the long jump and triple jump, earning all-state honors in both events. High School: Davenport helped his team earn a 7-6 record in his senior year, including a trip to the CIF Playoffs. He totaled 104 tackles including 75 solo tackles. He recorded 10.0 tackles for a loss and 6.5 sacks. Davenport had a nose for the ball in his senior season grabbing one interception, forcing one fumble and recovering three fumbles. He also made his presence felt on special teams where he blocked one punt and one field goal. Davenport was named first-team All-Defense in the Foothill League for his performance in his senior season. In his junior year, Davenport recorded 53 total tackles, including 34 solo. He had 5.5 tackles for a loss, including two sacks. He also grabbed one interception and recovered one fumble. High School: Demby is a safety from Chino High School in Chino, Calif. As a senior, Demby recorded 74 tackles, 52 solo efforts, 16 tackles for a loss, seven sacks, an interception and a pass break up. He also played on the offensive side of the ball, recording 307 rushing yards and four touchdowns, while tallying 281 receiving yards and two scores. Demby was named All-Mt. Baldy Defensive MVP and a first team all-league member, helping his team to a 5-6 record and a 5-1 record in conference play. As a junior, Demby was a first team all-league pick, recording 73 tackles, six sacks, four forced fumbles, an interception and a fumble recovery. Fresno City College: Gibbs played defensive line for Fresno City College for two seasons. In 2013, he helped his team to a 7-4 overall record and a 4-1 conference record, as his team competed in the Gridiron Classic Bowl. Gibbs recorded 34 tackles, five sacks, 10.5 tackles for a loss, two fumble recoveries and a pass break up. In conference play, Gibbs had 21 tackles. In 2012, Gibbs recorded 35 tackles, helping his team to an 8-3 record and a 4-1 conference mark. He was named an All-Valley selection in 2013. High School: Grimm tallied 2,367 yards passing and 22 passing touchdowns in his senior season with Cedar Park High School. He completed 58 percent of his passes (144-248) last season. Grimm was a dual-threat quarterback as he also rushed for 1,314 yards and 18 touchdowns. He averaged 7.4 yards per rush. Grimm was named All-District MVP, All-Central Texas Newcomer of the Year and first team All-Central. High School: Herrington played safety for Halletsville High School in Halletsville, Texas. He was named an all-district selection and the all-district MVP, as well as a first team all-state member. As a senior, he tallied 185 tackles, 120 solo efforts and four interceptions. As a junior, Herrington recorded 82 tackles, five pass break ups and four interceptions. He also caught 48 passes for 680 yards and five touchdowns. He was named a first team all-district pick as a defensive back and second team at wide receiver. High School: Ibekwe earned numerous accolades in his senior year where he totaled 79 tackles, including six tackles for a loss, and five sacks. He also had one pass break up, two forced fumbles and one fumble recovery. Ibekwe was ranked 78th in the Texas Lone Star Rankings Class of 2014 by rivals.com, selected to the USA football vs. Canada under-19 game, and was selected defensive MVP of district 23-4a. In his junior season, Ibekwe had 56 tackles, two sacks and one quarterback hurry. He also had a touchdown reception as a tight end. He was part of the Texas Top-100 watch list class of 2014. High School: Jeanty played quarterback for Miramar High School in Miramar, Fla. In the 2013, Jeanty helped his team to a 12-1 overall record and a 6-0 league record, as his team was ranked the No. 13 team in the state of Florida. In 10 games, Jeanty threw for 1,340 yards and 21 touchdowns in 2013, including six touchdowns in one game, while recording five games with two or more touchdown passes. He also rushed for 118 yards and four scores. On the season, he tallied 1,458 total yards. Jeanty was named a Class 8-A honorable mention selection and was picked to participate in the two All Star games. High School: Jones played defensive back for Carroll High School in Southlake, Texas. As a senior, Jones was a first team all-district selection. He recorded 45 tackles, 29 solo efforts, 14 pass break ups, two interceptions, a sack and a forced fumble. As a junior, Jones tallied 22 pass break ups, an interceptions and a field goal block. He was named a first team all-district pick. High School: Jones played quarterback for the South River High School in Edgewater, Md. In his senior season, Jones threw for 2,461 yards and 27 touchdowns. He completed 59 percent of his passes (148-252) and averaged 16.6 yards per completion. Jones wasn’t afraid to run with the ball as he rushed for 437 yards on 80 carries. He scored seven touchdowns on the ground. He was named Honorable Mention All-State for his performance. High School: Nwangwa totaled 120 tackles in his senior season. He grabbed six interceptions while breaking up 11 passes and forcing three fumbles. Nwangwa was named first team all-state, first team all-district and first team all-conference for his efforts last season. In his junior year, Nwangwa had 61 tackles including two tackles for a loss and two sacks. He also grabbed one interception, broke up six passes and forced one fumble. High School: Parnell played linebacker and long snapper for Rio Rancho High School in Rio Rancho, N.M. As a senior, Parnell played linebacker for seven games, registering 44 tackles, eight tackles for a loss, two sacks and an interception, which he returned 76 yards for a touchdown. During the last three games of the season, Parnell was called on to play on the offensive line due to injuries on the team. He received the 2012 Leadership Council Award. High School: Pellum helped his team go undefeated in the regular season and 10-1 overall in his senior year. He tallied 100 total tackles including 55 solo tackles and 4.5 sacks. Pellum was a two-way player and also earned 303 receiving yards and eight touchdowns as a tight end. For his senior season, Pellum was named League MVP. He was also named first team All-CIF and first team All-League in both his junior and senior season. Pellum was also named the team MVP both his junior and senior seasons. Arizona Western: Rogers played one season with Arizona Western as the team’s starting quarterback. He threw for 1,832 yards and 14 touchdowns with only seven interceptions. Rogers also ran for 364 yards and a team-best 10 touchdowns. Rogers missed two and a half games down the final stretch of the season, but was able to dress for the Matadors third straight appearance in the Fisher Automotive El Toro Bowl. High School: Rogers was the starting quarterback at Liberty High School for four years, leading his team to three league championships. He threw for 5,903 yards during his high school career, including 76 touchdown passes. Rogers also ran for 1,691 yards and 26 scores. As a senior, Rogers was the league and district player of the year, while also being selected as a first team all-section and second team all-state. He was one of two quarterbacks from Arizona selected to play in the California vs Arizona All-Star game. High School: Rose played running back and defensive back for Fairfield High School in Fairfield, Texas. As a senior, Rose was named the Associated Press Sports Editors Class 3A Offensive Player of the Year and a first team all-state selection. He rushed for 2,924 yards on 237 carries and 49 touchdowns as a senior. He also caught nine passes for 114 yards and three scores. He helped his team to the state championship game, a 15-1 record and a No. 19 team ranking in the state of Texas. Rose tallied 3,152 all-purpose yards on the season. Defensively, Rose recorded seven tackles, six pass break ups and an interception. Rose recorded 11 games with three or more touchdowns, including one game with six scores. As a junior, Rose rushed for 857 yards and nine touchdowns, recording 954 all-purpose yards on the season. He tallied 18 tackles, a tackle for a loss, six pass break ups, an interception, a forced fumble, a fumble recovery and a blocked field goal. High School: Smith played offensive tackle and defensive end for Douglas County High School in Castle Rock, Colo. As a senior, Smith helped his team to a 7-4 record and the second round of the state playoffs. He was named an all-conference selection as a junior and senior and an honorable mention pick as a sophomore. Smith holds the squat record at his high school of 713 pounds. He also wrestled for Douglas County, making the second round of the state tournament as a senior. High School: Wright played both cornerback and wide receiver at Lewisville High School. In his three seasons as a starter, Wright intercepted three passes and forced five fumbles. He caught three touchdowns as a wide receiver and also returned one interception for a touchdown. Wright was an all-conference selection as a junior and senior. 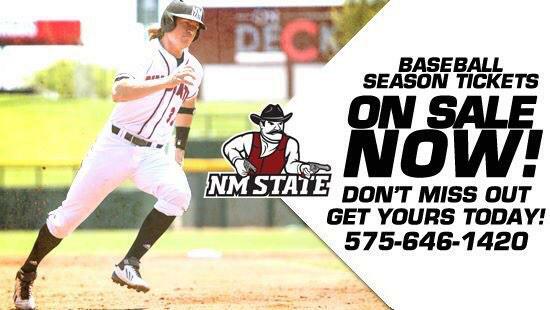 Visit Crimson To the Cores Recruiting Trail for more on NMSU Recruiting. It is Free to view once signed up.